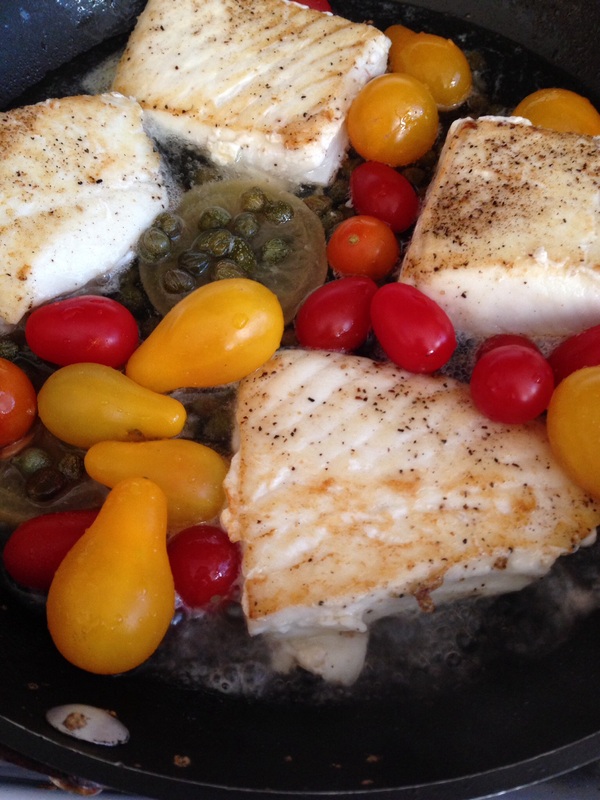 Halibut in Burst Tomato Wine Sauce – What's for dinner, Doc? Heat olive oil and butter in a skillet. Salt and pepper each side of the fish and add to heated oils. Sear fish 3 minutes per side, remove from pan and set aside. Deglaze the pan with wine and add the remaining ingredients. Simmer until tomatoes burst about 8 minutes. Return fish to pan and simmer 5 minutes until fish is opaque and flakes. Don’t over cook the fish. If your diet allows, serve with a glass of crisp Sauvignon Blanc. Yum. I’m going to get Mark on this right away! If it’s anything like your salmon/orange recipe it will be fabulous! Rumor has it that you have a new book coming out soon and that the first Hologram is free on your website. Ymmm.. I love those little multicolored tomatoes!!! Ooo this sounds lovely, light and simple. 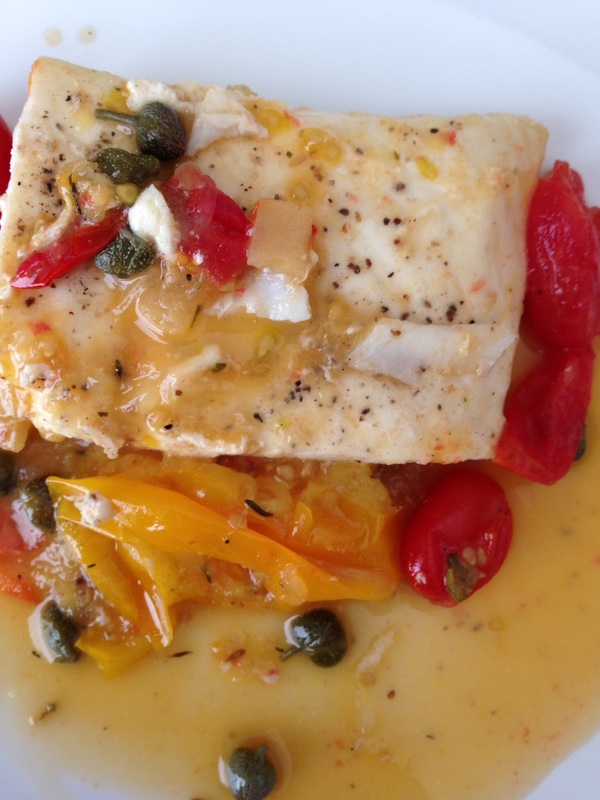 Love wine in fish dishes, it really brings out the flavors. Yes, I often use wine broth to poach fish. This recipe caught my attention and I’m going to have to make real soon! You will enjoy What’s for Dinner, Doc? not only because of the great healthy recipes, but also because of the story behind it all. Thank you for stopping by and clicking around my eclectic site. I’ve been writing more fiction than recipes lately but you’re always welcome. Thank you. I am a writer, too! Can’t wait to try this recipe!